Texas Government Code Section 411.081 allows an individual who has successfully completed deferred adjudication to petition for an order of non-disclosure with the court that placed the individual on probation. Under the Public Information Act, the history of the criminal record is subject to an order of non-disclosure is excepted from required disclosure. Criminal justice agencies are permitted to release criminal history record information subject to an order of nondisclosure to criminal justice agencies, authorized non-criminal justice agencies and the individual who is the subject of the criminal history record. The CRS Legal Staff cannot assist individuals in petitioning the court for an order of non-disclosure. Individuals seeking a Texas order of non-disclosure should seek the advice of a licensed attorney to determine if they are eligible for an order of non-disclosure. Find out more. Expungement Texas is dedicated to providing clear and accurate information on the process of record clearing and expungement. We hope that you've learned some facts about record clearing in Texas from Expungement Texas and continue coming back. Questions about getting an Expunction? 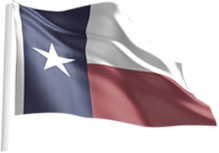 Find great information and legal assistance from Record Gone - a highly recommended and trustworthy Texas law firm. Thank you for visiting Expungement Texas. We try our best to deliver relevant content on the latest news on expungement, setting aside, and clearing records. We hope you've found relevant information for your expungement search. Want to suggest any improvements? Send any inquires to us through our Contact Page. Our focus is in Austin, Houston, San Antonio, Dallas, Corpus Christi TX areas. ©2006 - 2019 Copyright Expungement Texas, All Rights Reserved.